Every parent already knows, our kids don’t miss a trick. They are watching how we speak, how we eat, and how we treat each other. But did you know, they are also watching our relationship with money? 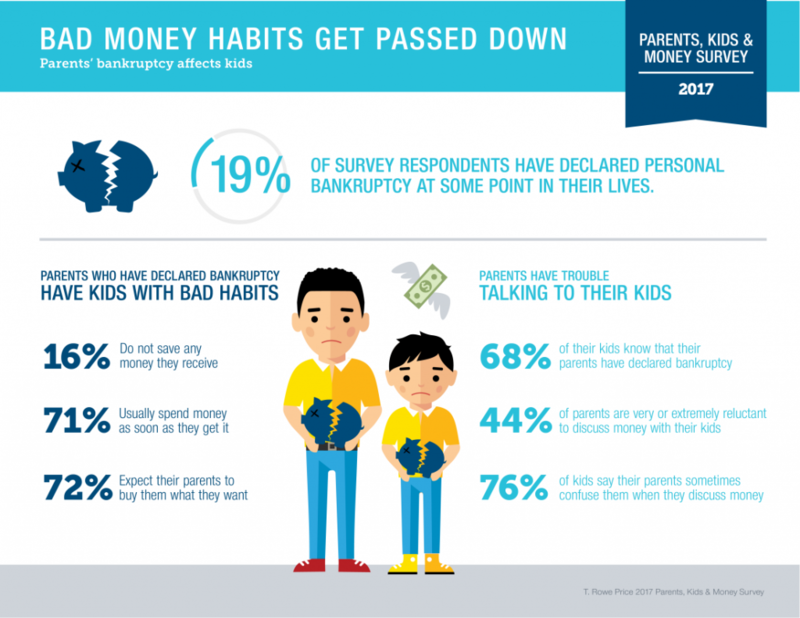 A recent study conducted by the National Bureau of Economic Research (NBER) found a strong correlation between children and parents when it comes to their attitudes toward debt. Especially moms. Women were more uncomfortable with debt than men in both generations, yet both men and women were more likely to discuss their financial situation with their mothers instead of their fathers. Consequently, the correlation for transmitting debt philosophies to children was greater for women than for men. The findings are consistent with T. Rowe Price’s 2017 Parents, Kids & Money Survey, which found that bad money habits get passed down to children. That is the bad news. The good news is, the opposite is also true. 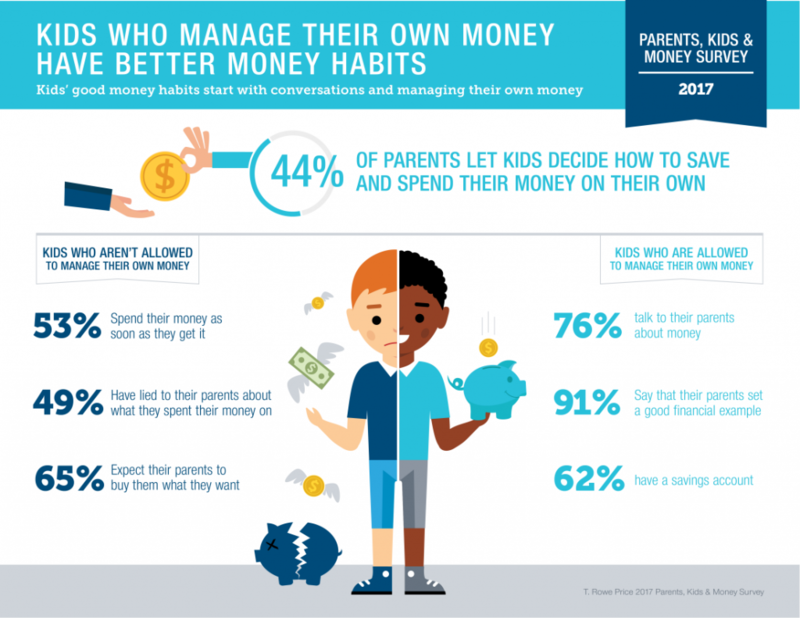 The children of parents who practice good money habits are more likely to save money and discuss money with their parents. These children are also less likely to spend money as soon as they get it, and less likely to lie to parents about spending habits. Talking to children about money should be more than simply discussing debits and credits. 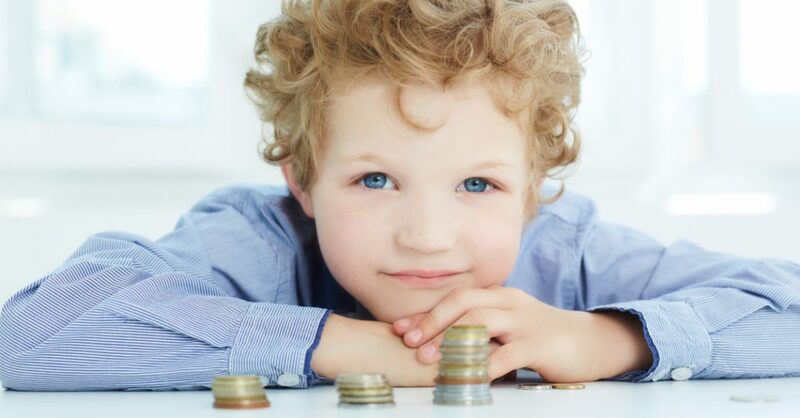 It’s an opportunity to shape your child’s relationship with money that will endure throughout their lifetime. Ask you children: What does money mean to you?  I encourage all my clients to view money through 3 lenses: Freedom, Opportunity, and Love. Don’t ask yourself how much money you need, ask yourself what you need the money for. Money is a tool to achieve your life goals. A dollar is a small piece of that beach house you want to retire in someday. Or a small piece of the dream wedding you want to give your daughter. Money gives you the freedom to create the life of your dreams. Money also creates opportunity, whether that means traveling the world or giving back to your community. It provides the chance to experience things in life you never would have otherwise. This third one might surprise a few people, but money is also an expression of love. Think about it. Why pay life insurance premiums when you could have bought a new iPhone or a big screen TV? Because you love your family. You want to make sure they aren’t left behind with a financial burden in the event something bad happens to you. Parents open a college savings plan because they don’t want to see their children burdened with thousands of dollars in student loan debt. Virtually all thrift- the deferral of gratification today for a better tomorrow- tracks back to love. When you think of money in these terms, it’s a lot easier to stick to a budget, isn’t it? Kids may not act interested in all these lessons right away, but they are paying more attention than we think.